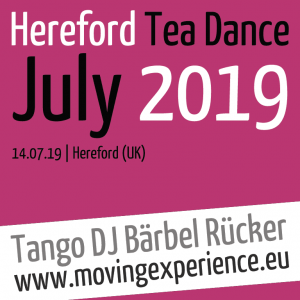 Hereford Tango Events by Catherine Lusher organises once a month the Hereford Tea Dance at Breinton Village Hall. For the fourth time I’ll have the pleasure to play my selection of the best traditional tango tunes on Sunday, 14th July 2019. You’ll find videos from my DJ sets for Hereford Tango Events on my Youtube Channel Tango DJ Bärbel Rücker. Besides the monthly Hereford Tango Tea Dances I have been teaching the Monday Tango Classes from September 2016 until July 2018! The weekly Hereford Tango Classes have been organised by Jim Didlick. 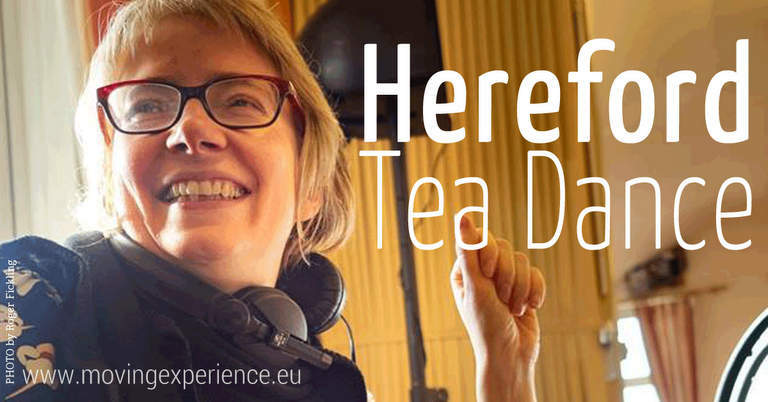 The Hereford Tea Dances are mainly held on the 2nd Sunday of every month at the Breinton Village Hall. Everyone is welcome to a fun packed afternoon at the friendly Tea Dances organised by Catherine Lusher (Hereford Tango Events). Free parking next to the hall.